The upgrade of Heaton Depot was required by Network Rail as part of the Intercity Express Programme (IEP) for the new fleet of Hitachi Super Express trains. The IEP programme involved the upgrade of 8 light maintenance depots on the East Coast Main Line, with works at each carried out in sequence to maintain the operational requirements of the ECML. 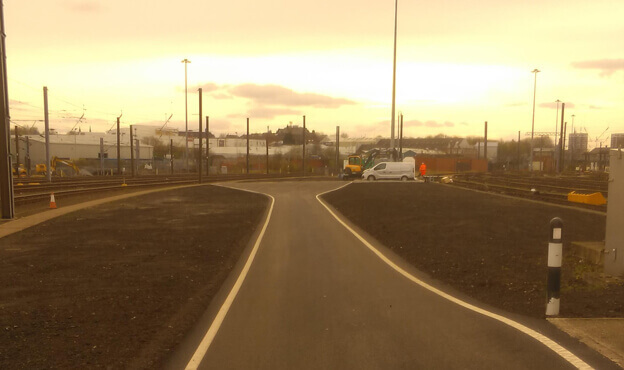 Spencer Group were required to upgrade fuelling roads 1 & 2 whilst keeping the operational requirements of the depot at 100%. To facilitate this, a temporary fuelling facility was constructed prior to disruptive works being carried out and taking fuelling road 2 out of service for 30 weeks. 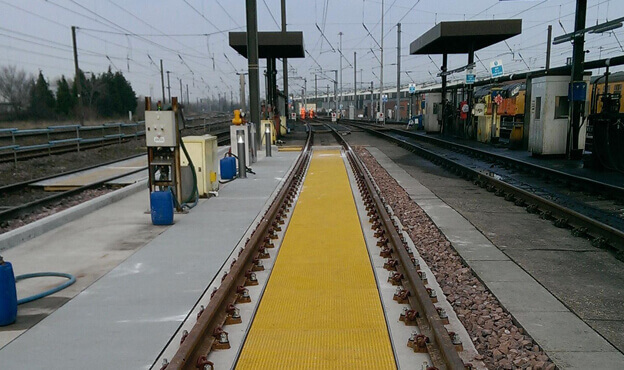 The project was substantially completed 3 weeks earlier than programmed. Collaboration between Spencer staff and the depot staff needed to be at its highest level at all times, with daily interaction involving all levels of depot staff, to ensure the safe working of depot workers during the evenings. 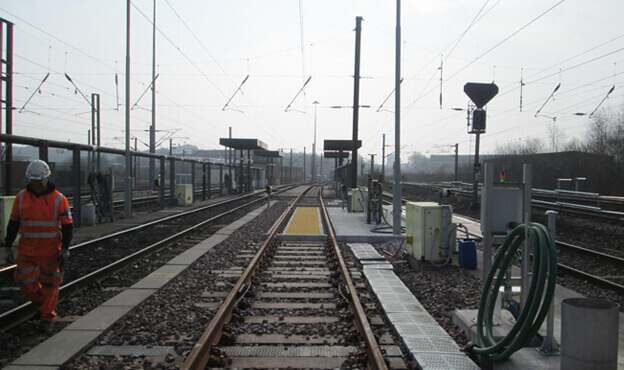 The project won three successive Network Rail 'STAR' audits, testament to the 'safety first' attitude on site.